The last time I did an "I Adore..." post it was about the little black dress. 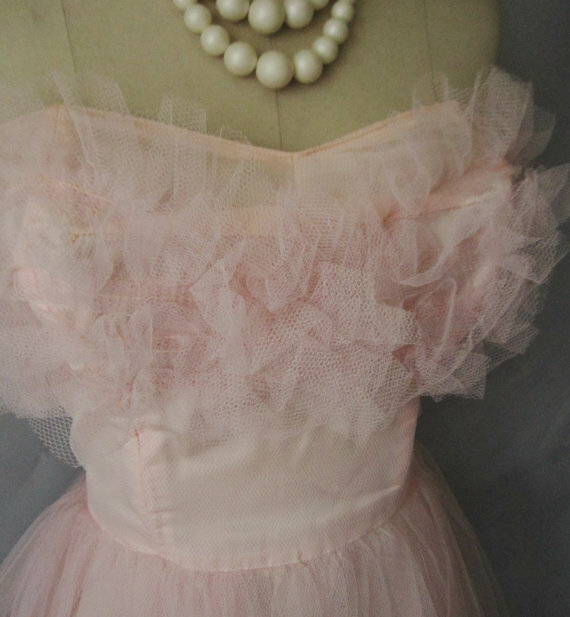 As practical as the LBD is, there is nothing more perfectly impractical than the cupcake dress! 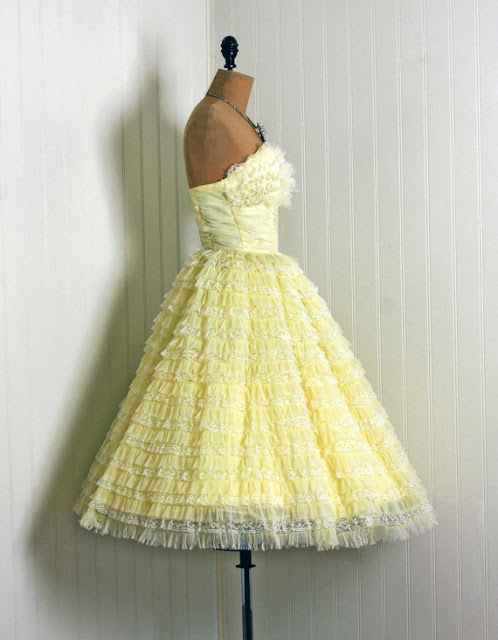 What is the cupcake dress, you ask? 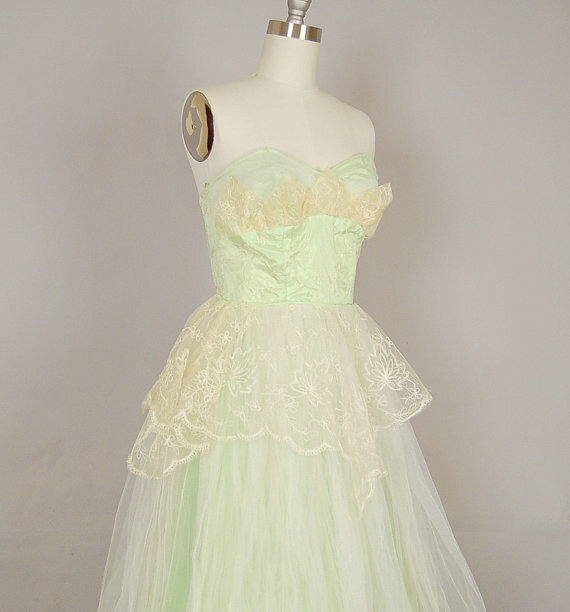 Why it is a phenomenon of frills and fluff constructed in the 1950's. 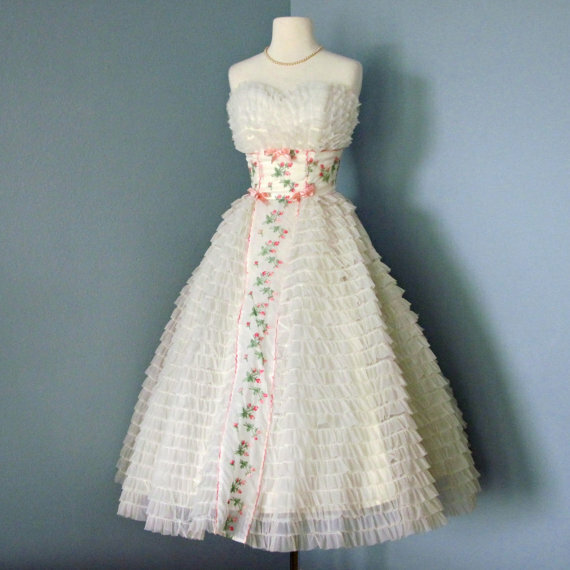 Of course, while other eras had their fair share of frills and fluff, the 1950's cupcake dress is of a different breed. It mixes adorable silhouettes with over the top girly-ness to make any 16 year old, Taylor Swift fan, on her way to prom... swoon. But of course, while I am a far cry from what I just described, I swoon too. 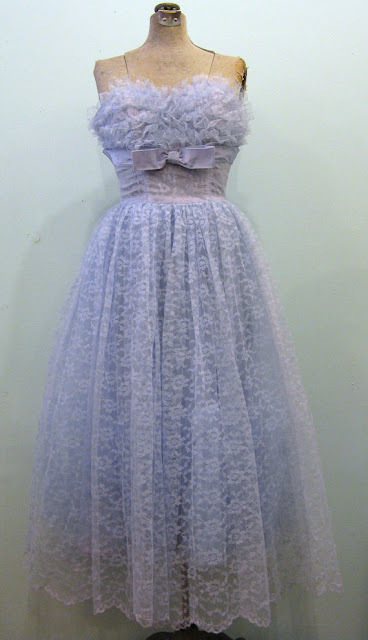 When I've got one of these dresses in hand, I imagine I live in a world of happiness, with bunnies in little tuxedos serving me pastel colored cupcakes. I probably have a little crystal tiara on in that dream too, get over it. 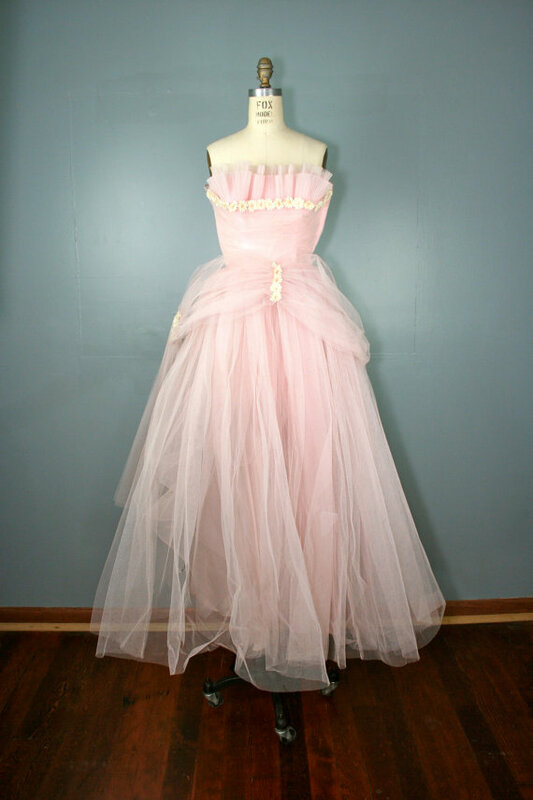 While I have never worn one of these dress (not to a school dance, nor to prance around with my tuxedo clad bunny friends), I sure as hell would if I had half the chance (and guts). In fact, I would not concoct some prom that I could attend at 25, but rather wear one to lay in the park, or go out to brunch. I believe the act of an every day life activity would bring this dress to it's knees. I love you cupcake dress! Oh, in case you were just dying to find yourself a cupcake dress, all these gorgeous imagines link you straight to the fine sellers of said glorious garment (all on Etsy).